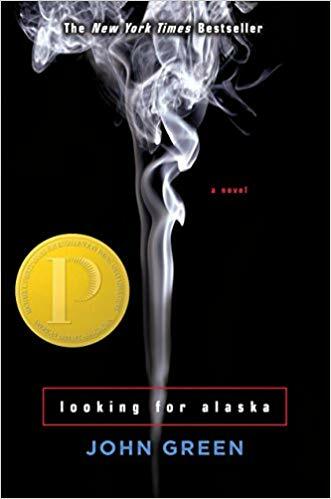 Looking for Alaska by John Green is an emotional coming-of-age tale that centers around a smart but awkward teenager named Miles (“Pudge”), whose claim to fame is in memorizing and spouting off the last words of notable people in history. When the story begins, we learn that Miles has applied to a prep school in Alabama to finish his schooling. Miles is a smart kid, who doesn’t quite fit in at the public school he attends and what’s more, doesn’t feel the need to fit in. He’s an old soul who knows the world is bigger than the small town he lives in. His parents dote on him as he is the only child. At prep school, he meets a few kids and they become friends. Most notable is his roommate nicknamed “The Colonel”, who like Miles, is also an old soul. I got the feeling early on, that The Colonel had seen things in his childhood that aged him. Often, he comes across as a cantankerous old man. Then, there is Alaska, another notable character and friend to Miles and The Colonel. Alaska is an exhilarating whirlwind of smarts, impulsive, beauty, and energy, with hints of profound sadness sprinkled in. She’s a mystery to everyone she meets. 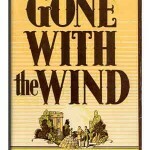 As expected in a young adult novel, the gang has moments of hilarious shenanigans as well as quietly solemn depth. Each of the prominent characters in this book are searching for something. 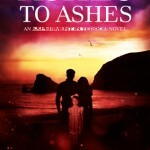 During their adventures together, they find truth, happiness, peace, and devastation. This book reminds me a bit of Jack Kerouac’s On the Road as it is very much a coming-of-age tale. The characters are so well fleshed out and perfectly imperfect. These characters are odd but fascinating. Their experiences, good or bad have shaped their personalities and views of the world. I highly recommend this one and enthusiastically give it 5 stars! With the help of MarketPlace homes, we sold our first house very quickly. That process was mainly smooth but if you’d like to read a review on our MarketPlace homes experience, see this post. Once we had an accepted offer, it took about a month to close. During this time, we focused mainly on completing the sale of our first home. Once our home closed, we waited almost 30 days to close on our new Allen Edwin home. This final leg of the process was probably the hardest for us. The new owners of our old home were anxious to schedule their move. We were feeling the same way — anxious to have our home finished so that we could start the next chapter. It was very much a time for “wait and see”. It was so exciting to see all of the parts and pieces come together for our new home. At this point, we had finished everything on our end. As a result, we were in a period of limbo and at times it was unbearable. It was like being a kid on Christmas Eve! If Christmas Eve dragged out for weeks, then every single day before our closing date was like Christmas Eve. During the final 6 weeks, we spent our time packing, doing research for the things we’d need for our new home, and then of course waiting to hear anything on progress and a closing date. I can tell you this much — you can only pack so much before you run out of non-essential things to pack. There came a point where we had all of the non-essential things packed up but couldn’t pack up the essentials until much closer to the move. Our project manager had been great throughout the process. His weekly emails came in like clockwork and it wasn’t until the final 6 weeks that we found communication lacking. I’m not gonna lie. We were anxious for updates and a concrete closing-date as well as final walk-through timeline. Instinctively, we knew that pressing our project manager and account manager for details wouldn’t have gotten us very far. After all, we didn’t want to interrupt the home-build process and cause potential “rush job” just to get it done. We also wanted a good experience overall and putting undue pressure on our team wouldn’t have gotten us that. Our financial institution, as well as MarketPlace Homes, were in constant communication with Allen Edwin Homes. So, in those final 6 weeks, we received updates from them, which was a blessing. The final walk-through was scheduled the week before closing. During this time we met with our project manager, realtor, and sales account manager. Our project manager took us through every room of the house for final inspection. He explained the inner-workings of the mechanicals — furnace, water heater, air conditioning unit. Also during this time, if there were any imperfections or if something was not working, we’d mark it down as something to be fixed before closing. Our PM also explained the follow-up process after closing on our home and where to call if anything were to break within the first year. He provided us with a large binder that contained all of this information and more. Overall, we LOVED our new home. It was exactly what we wanted and we gave ourselves room to do some upgrades in the future, which should provide additional value to our home. On the day of closing, we were all smiles and excitement. Most everything went according to plan. We had good communication with our team – our realtor, our Allen Edwin sales rep, our project manager, our financial institution account manager, and our title company reps. Everything came together as hoped (and expected). We got the keys immediately after close. Finally this new chapter has begun!